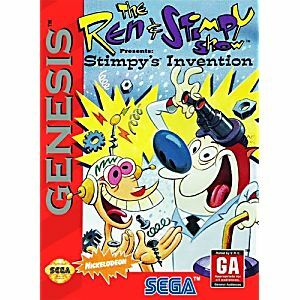 Ren and Stimpy Stimpy's Invention Sega Genesis Game cartridge Cleaned, Tested, and Guaranteed to work! This game is so much fun. It takes me back to when I was a kid and would play it all the time. 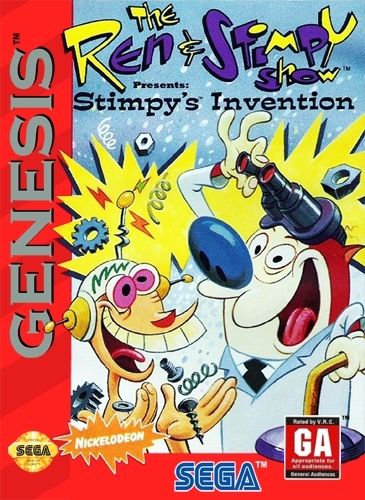 It also has a co-op feature unlike the snes version. Quality was a little lower than expected. The game runs great, the only downside is the connectors are rusted and it is impossible to get the game out of my console without extreme force. I'm scared i'll damage my console by pulling the game out. This is a great, fun game! This is a fun and quirky game from my youth. Just collect the pieces needed for the invention or something like that. I haven't played it in a while. I need to get this and bring back the memories.